1. I let myself experience it as a reader first and a writer second. I was supposed to be reviewing this book, so the analytical side of my brain should’ve been firmly switched on. Within a few minutes, though, it shut off and I was pure emotion. Actually, I was pure adrenaline. The novel starts with a woman, Amelia, being stuck below rubble after a massive earthquake hits the Bahamas. Hugh, a pararescueman who’s a medic specializing in these kinds of situations, digs his way through the rubble so he can keep her alive while other rescue workers cut a path to free her. The bond between rescuer and rescuee is immediately intense and fraught with tension as they both try to ignore that fact that they could die at any second. I was so caught up in the story that before I knew it I’d read half of it. By the time I realized I should’ve been taking notes on what worked, I was too wrapped up to pause and find a pen. But you know what? That’s okay. I devoured the rest of the book and let my writer brain simmer in the background for a while. By letting myself have an emotional reaction first, I gave my analytical side breathing room to sort through all the scattered thoughts I had while reading. This sparked a lot more creativity and ‘ah ha!’ moments once I put the book down. 2. I closed my eyes and let my favorite scenes replay themselves on the backs of my lids. 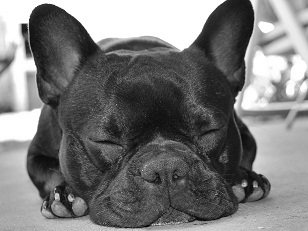 It might’ve looked like napping, but this was actually a thought-assimilation strategy honed over years of being a student. This was the point where my brain dug out the scenes that affected me most powerfully. As I thought about them, other impressions shot out at me: fast paced! high tension! ohmygod no! danger! Know what I realized? I have several crucial scenes in my own work-in-progress that could be described with the opposites of those adjectives. Slow as treacle. Not much tension. Not a lot of danger. Now, my WIP is not suspense. It’s straight contemporary romance, but scenes still need to have tension – even if it’s not of the stuck-under-earthquake-rubble type. Suddenly, as I let these scenes stew and mix with the ones I’d loved from Catherine Mann’s novel, I discovered some critical ways to save my scenes. And they’re simple – ranging from putting my hero and heroine in a location that will challenge them to changing the point-of-view character. Like I hinted at the beginning of this post, my initial reason for wishing I’d written Hot Zone was because it’s set in a world I’m familiar with. I worked for the Red Cross for four and a half years as a writer and editor. I’ve never been to an earthquake zone, but I’ve talked to dozens of people who have. I’ve interviewed specialists in the field and written hundreds of stories about people surviving disasters. In fact, I’m writing a series based on women who work for a humanitarian aid agency. But, also like I said at the beginning of this post, I had no illusions that I actually could have written this particular novel. And I won’t be trying to recreate it. But by allowing myself to appreciate and think about the novel I loved, I was able to draw connections with my own work. The final draft will be much stronger because of it. Have you read a novel you wish you’d written? Did you let yourself seethe with jealousy, or did you find ways of improving your own writing as a result? 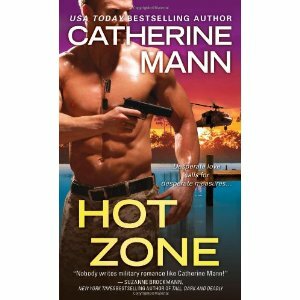 Definitely have to check out Hot Zone. I’m new enough on this journey there are a lot of ‘I wish I’d written that’ stories 🙂 But I don’t let myself be jealous, more that it pushes me to improve. I’ve not sat down and had specific ‘ah-ha’ moments like you did with this book. I can see the benefit though and will give it a try the next time I’m reading. It’s not so much the book of an other author that I wish I would have written, but it’s a book idea that has been in my head for quite awhile. It’s driving me nuts, but I have problem with the beginning. I really hate it when a story gets stuck in my head and won’t come out right, Danny. Best of luck with it!